Sony has withdrawn its World Cup sponsorship. 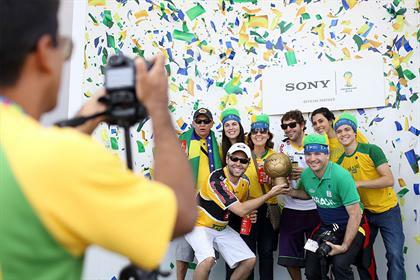 Sony is one of six official FIFA partners that sponsored the 2014 World Cup, along with Coca-Cola, Emirates, Visa, Kia-Hyundai and Adidas. But Sony does not plan to renew its sponsorship with soccer's global governing body at the end of this year, according to a report by Reuters. Instead, the brand apparently plans to focus on its cost-cutting efforts, announced earlier this year. Sony's eight-year partnership with FIFA was reportedly worth 33 billion yen ($280 million). Sony has yet to comment on the news, but the decision follows Emirates becoming the first major sponsor to back out of its FIFA contract earlier this month. Emirates blamed contractual issues at the time, while FIFA said it had been aware since 2012 that the airline would not renew. According to multiple reports, however, the corruption allegations that have dogged FIFA since the summer were also a consideration. FIFA recently investigated the bidding process that awarded the 2018 and 2022 World Cups to Russia and Qatar, respectively, after allegations of corruption in The Sunday Times. Sponsor Coca-Cola also slammed the investigation this week, describing the confusion as "disappointing." A spokesman for the soft-drinks giant said: "Anything that detracts from the mission and ideals of the FIFA World Cup is a concern to us. "The current conflicting perspectives regarding the investigation are disappointing. Our expectation is that this will be resolved quickly in a transparent and efficient manner." This article was first published on marketingmagazine.co.uk. Is technology taking the magic out of sports fandom?